At the end of the day—cars, boats, whatever—we’re all in this together. Is it weird that this giant boat is tugging this stuck truck out of the mud? Yeah. Is it also really cool? Yeah! 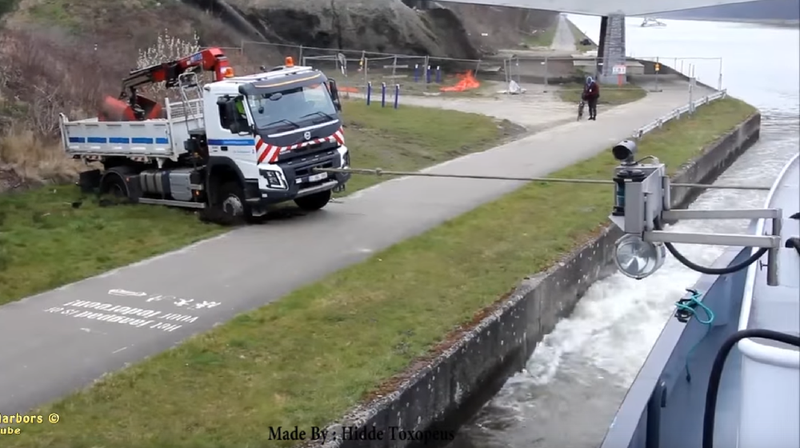 According to the video description, a giant barge called the “Stolt Variante” showed up when this stuck truck thought all was lost. It’s pretty embarrassing getting your vehicle stuck in he mud, but you have to admit that it’s way more embarrassing to get towed out by a boat of all things. Either way, teamwork makes the dream work! Just as long as the boats are on water and the trucks are on land. Otherwise things no longer work.